Current, active, and unrestricted licensure or certification in a health or human services discipline that within its scope of practice allows the professional to conduct an assessment independently. The license must be active through the last date of test administration. Baccalaureate or graduate degree in a health or human services field that promotes the physical, psychosocial, and/or vocational well-being of the persons being served, if licensure or certification is not required for your discipline. The degree must be from an institution that is fully accredited by a nationally recognized educational accreditation organization, and the individual must have completed a supervised field experience in case management, health, or behavioral health. Category 1: 12 months of full-time case management experience, supervised by a board certified (CCM) case manager who has been certified for at least 12 months. Category 2: 24 months of full-time case management experience. Supervision by a board-certified case manager NOT required under this category. Category 3: 12 months of full-time employment as a supervisor of individuals who provide case management services. Lastly, there are several very specific questions you will need to answer related to your eligibility under the moral character qualification. Please refer to the Certification Guide to the CCM Examination, section 6 for a list of questions to expect on the application. Full details of CCM Exam eligibility here. The CCM Exam is a 180-question multiple choice exam in which you have 3 hours to complete. How Much Does the CCM Exam Cost? The application fee is $200, and the exam fee is $185, a total of $385 will be paid when you apply. But there is a chance you can take the exam for much less! Simply enter the name of the CCM who referred you in the “promo code” field of the Education and License section of the application. When the application window closes, one lucky candidate and the CCM who referred them will be randomly chosen to each win a $345 American Express Gift Card! I hope you will consider entering my name, Deanna Gillingham, in that promo field. Qualified applicants can take the exam in over 800 locations in 160 countries. Exams are conducted at Prometric testing centers, take a look and see where your nearest testing center is. 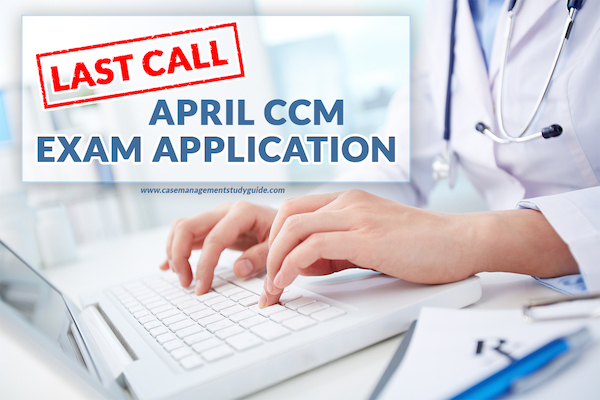 We know that the CCM Exam is an exciting opportunity to take your career to the next level. So we want to help you to be prepared. One way is to use the book CCM Certification Made Easy This comprehensive, concise study guide is based on the blueprint of the CCM exam. This book was written specifically to help you pass the CCM exam. 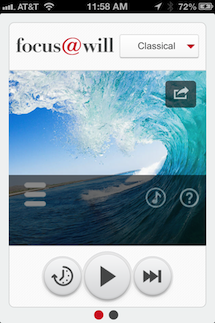 If you are looking for a course we have the Online CCM Certification Review Course. This online study course is designed to help you understand the role case managers play in today’s modern complex healthcare system and how this information is vital to preparing and passing the case management exam. You may also check out this post for more study tips to help you feel confident and ready to take the exam. Remember: If not now, then when? Apply now until January 31st and add those three letters to your name that empower your potential! Hi Diane, we have two products currently available. 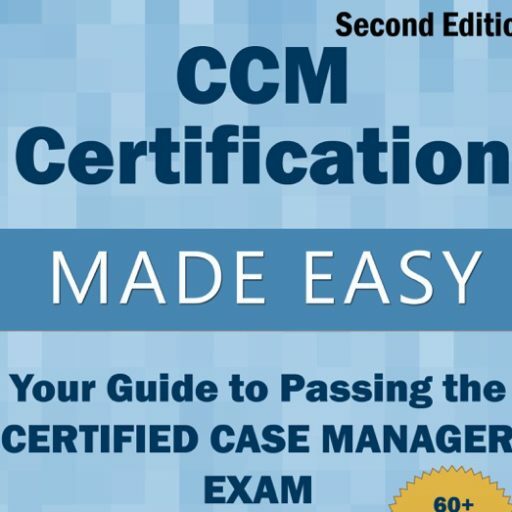 The 1st one is the book which can be found at https://casemanagementstudyguide.com/ccm-certification-made-easy/ and second is the online course which can be found at https://casemanagementstudyguide.com/case-management-certification-review-course/ Thank you so much for your question. When does application start for the December 2018 exam?